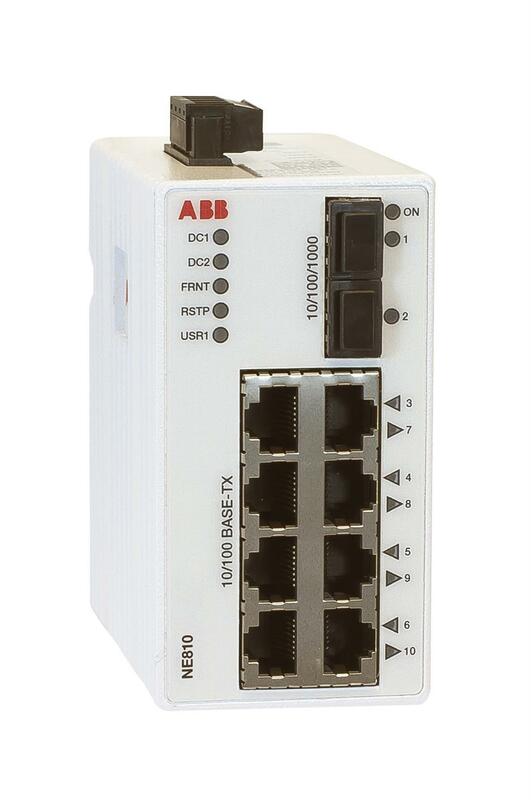 NE810 is an Industrial switch made for harsh enviroments. The switch can be used in either 100 Mbit or Gigabit networks due to our multi-rate SFP solution. Our unique FRNT (Fast Recovery of Network Topology) technology is the fastest protocol on the market to re-configure a network in the event of any link or hardware failure. That is why NE810 is also used in safety critical applications such as tunnels, traffic signal control and railway systems. Installations in harsh environments and places with heavy electrical interference require the use of a reliable media. NE810 provides a number of solutions using fibre optic transceivers. Multi- or singlemode transceivers can be used to build point-to-point or redundant ring networks with ranges up to 120 km between each switch. Our BIDI transceiver, which transmits and receives data on a single fibre can be used in applications where the number of fibre cores are limited. Real-time properties are implemented in the switch in order to achieve determinism for real time critical applications. NE810 supports QoS (Quality of Service) with four priority queues and strict priority scheduling as well as HoL (Head of Line Blocking Prevention). All to assure that the data network is deterministic.